Journey deep into the desert on this multi-day journey from Cairo. 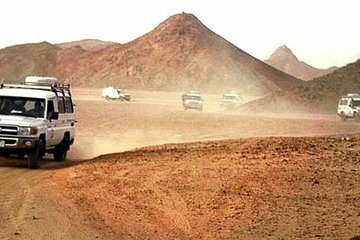 Travel by private jeep, reaching off-road locations inaccessible to other vehicles, including dazzling white dunes and a refreshing hot spring. Tours include Bedouin-style campsites under the stars, tasty fire-cooked meals, and hotel pickup and drop-off.